Luxurious by design. It speaks for itself. The new A7 Sportback has been injected with our latest design language; sharper lines, a wider grille and a distinctive new rear flat light strip. Its iconic silhouette remains the same – beautiful from every angle. 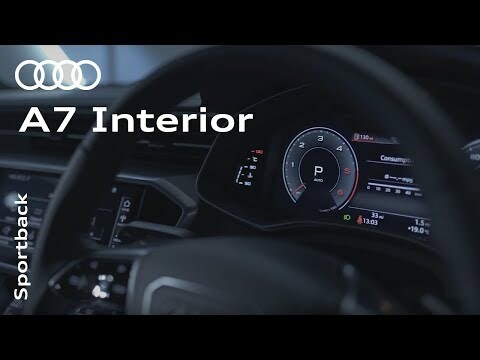 Brimming with intelligent technologies, the new A7 Sportback marries brains with beauty. The lines are blurred between the two with a minimalist instrument panel. The upper 10.1-inch display automatically turns on as you open the car, welcoming you to an array of infotainment. And when switched off, it almost disappears into the dashboard, transforming the cabin into a clutter-free sanctuary. 5-door Sportback with iconic exterior design, LED headlights, MMI Touch, Virtual Cockpit and rear-view camera. With the practicality of a hatchback and the agility of a coupé, the new Audi A7 Sportback has a powerful presence on the road.